Binance provides cryptocurrency traders access to a large array of crypto assets, along with its own native discount token to help reduce trading costs, while its lack of formal regulation weighs down on its trust score. Founded in 2017 in China, Binary Finance (Binance) has quickly grown to be a leading cryptocurrency exchange by market volume, with offices in an increasing number of regions, including Hong Kong and Malta. In 2017, Binance launched its own Initial Coin Offering (ICO) for its native Binance (BNB) Token, providing BNB holders reduced commissions when trading on the Binance platform, and which the broker burns on a quarterly basis to help reduce its potential supply over time. Binance offers 340 crypto assets, including 66 priced in its native BNB token, 131 priced in BTC, 130 priced in ETH, and 13 pairs priced in USDT, giving traders a very broad range of cryptocurrencies and emerging crypto assets to choose from across its desktop, web and mobile trading platforms. To help investors select a trustworthy exchange, we have created a proprietary 1-100 score (the higher the better) of overall trustworthiness, which we call the Trust Score. Here is our trust summary for Binance. The following table summarizes the different investment products available to Binance clients. The fee for trading at Binance generally starts at 0.1% of the trade size. In addition, the broker offers its own native token called the Binance (BNB) token, where traders get 50% off fees, and Binance offers a growing range of crypto assets that are priced in the BNB pair. Overall, Binance ranks near the top when it comes to its competitive pricing and fee options. Binance offers a hosted wallet solution whereby users can enable Two-Factor Authentication (2FA) and generate two-step security codes to access the platform and wallet functionality. The broker also includes email verification when carrying out basic operations such as logging in and conducting crypto transfers - to help increase security, provided that a user’s own credentials have not been compromised externally (i.e. a hacked Gmail account, phone, or other ways in which a user’s login credentials could be compromised will make any broker’s security methods ineffective, and thus users must always exercise great caution in protecting their personal information). As a precautionary measure, Binance requires users to wait at least 24 hours to withdraw funds if they change their security settings, such as their password. It also provides the option of enabling address whitelisting so that funds can only be withdrawn to pre-approved addresses. The firm also offers the option of using anti-phishing codes for further validation that the site being visited is correct. Overall, Binance provides a wide range of security features that have helped it grow its assets under custody and to cater to an expanding base of global clients. Binance primarily offers a web-based trading platform that gives traders access to a basic and advanced trading module that can be accessed from the same login. Binance also offers a desktop-based platform for Windows and MacOS computers. For this review, I focused on Binance’s web-based platform. 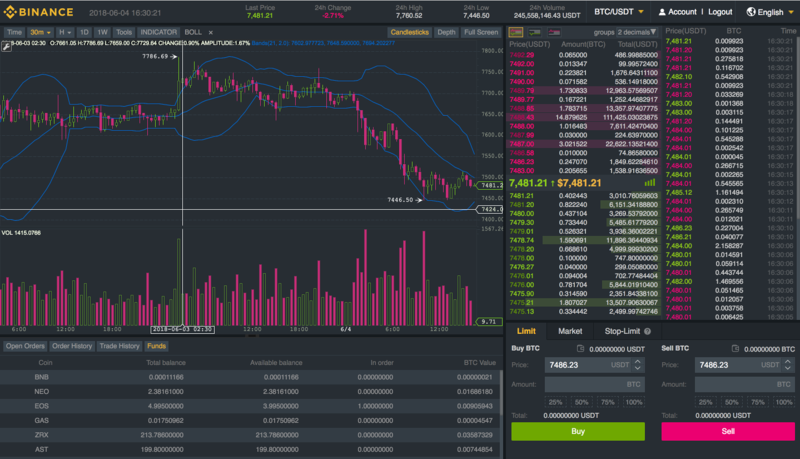 The platform layout defaults to the basic version in which the charts are very ordinary with no indicators or drawing tools, and the watch list is also very basic, a setup that is suited more to beginners and new traders who need less complexity. .
Moving to the advanced version of the platform, which is accessed by clicking on the Advanced tab, the setup and color scheme change and more options are revealed including the ability to choose tabs that switch the layout and additional watch list fields as well as change the view of the order books. The advanced charts are far more robust than those in the basic version, as 16 indicators and a dozen drawing tools are available, although only one indicator can be added at a time. 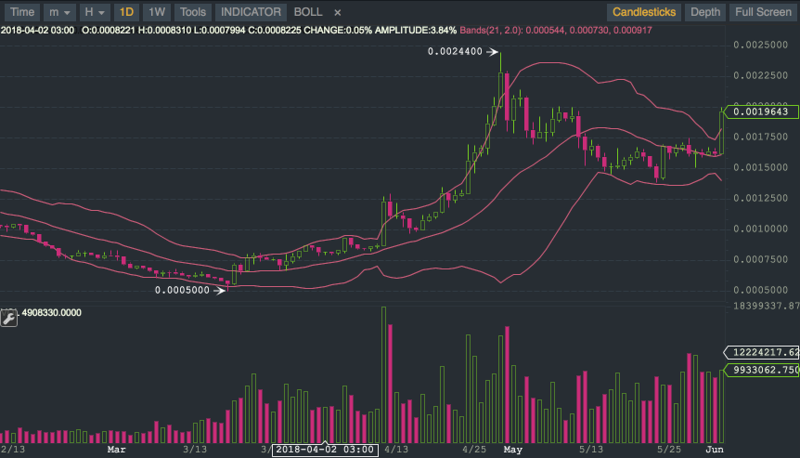 A nice charting feature across the basic and advanced platform is the high and low of the chart history, which are shown for any given time frame in view. This facility helps traders visualize key support and resistance levels (even though just the price level is shown and not a horizontal line corresponding to that price, it is still helpful). 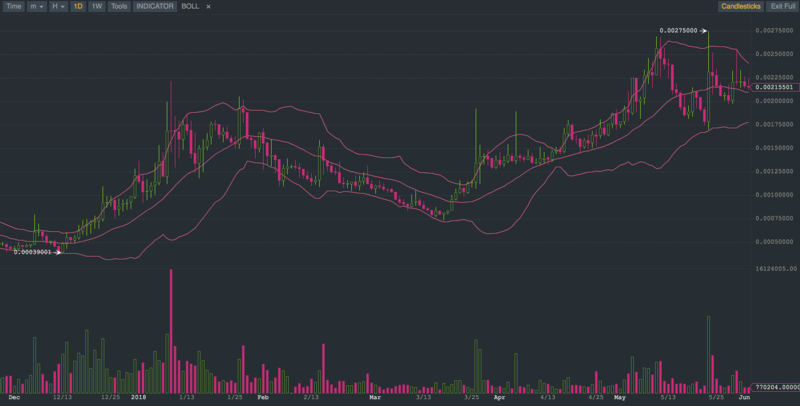 Considering the range of options available on the Binance platform and the number of crypto assets that can be bought and sold, the range of subtleties was a net positive, and such attention to detail is apparent in many parts of the advanced module. For example, in the order books there are three layouts to choose from and options on the number of decimal places to show for the order book prices. Overall, my preference is for the advanced version of the web platform because of its charting capabilities and robust watch list. Binance offers a mobile app for both iOS and Android devices, and provides a highly responsive version of its web-based app with many of the same features available by default in the Binance mobile app. For this review, I focused on the Binance mobile app for Android, running on my Samsung Galaxy S8+ smartphone. After setting up basic security features such as logging in with a fingerprint, the Binance app is easy to navigate with five main modules located on a static menu bar on the bottom of the app screen. The watch list automatically syncs with the web version of the platform, so favorites chosen on either app show up on the other. 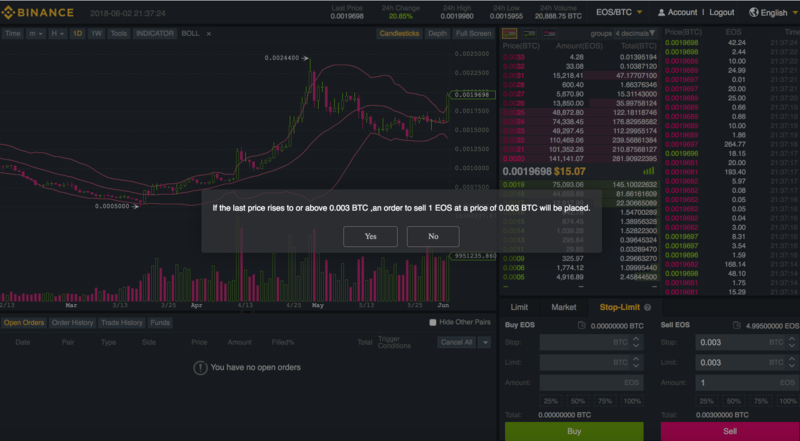 The Binance mobile app defaults to the advanced version of the trading platform, and although drawing tools are not available, users can choose from seven common indicators, ranging from Bollinger Bands to Relative Strength Index (RSI), after placing the phone into landscape view to access full-screen mode. Side note: while it was not immediately clear how to access the charts, I found them via the depth chart, as it can be changed into a candlestick chart and is not a standalone module. 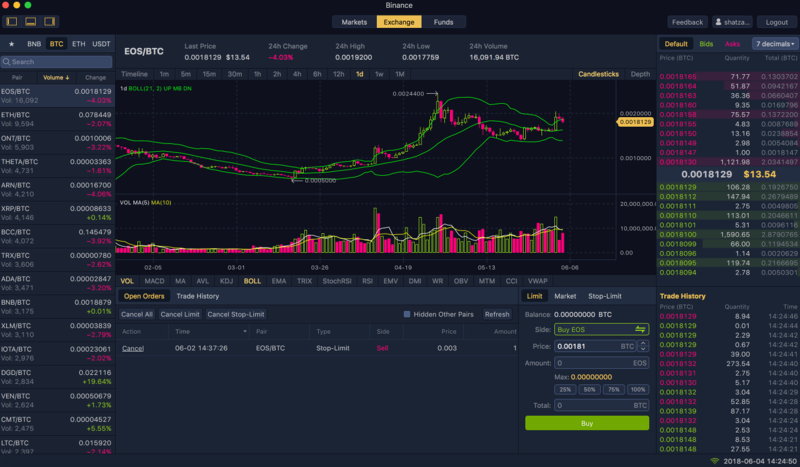 Binance has done an impressive job packing the depth charts into the same window as the trade ticket, so that when traders are preparing to place an order, they can see the top of book prices. In addition, nearly the same level of customization is available as in the web version in terms of the decimal pricing and layout of the order book prices. Binance Labs, the broker’s non-profit venture arm, provides initial funding for projects in the form of crypto, along with advice and other resources that early-stage crypto projects require when creating a new token-based network application or service. According to the broker’s website, Binance Labs is interested in supporting projects that help cater to the crypto industry. These include Decentralized Exchanges (DEXs), algo trading, blockchain-based chat, decentralized virtual private networks (VPNs), market data, and news apps. Around the time of our review, Binance announced an investment in the Malta-based eSporting company Chiliz.io. At the end of May 2018, the Binance Education Initiative was announced. In this initiative, the broker is seeking to crowdsource content from the community and compensate the winning teams with up to 200 BNB per topic, as the broker educational content is limited to some support articles on its blog. Binance is chosen by many traders due to its range of crypto assets, competitive commissions, and fee structure. Having quickly grown into one of the top market leaders by volume and number of users, Binance had to adapt its systems to be capable of 1.4 million orders per second, and added a range of security features that have helped protect it against hackers and DDoS attacks. While Binance has proven its ability to self-regulate, and we expect it to acquire additional regulatory licenses over the next six-18 months, the broker’s lack of formal regulation does weigh down on its ranking. For example, while Binance does require ID validation for higher withdrawal limits, some of its legacy traders have been able to deposit, trade, and withdraw smaller amounts without providing any documentation for AML/KYC purposes, potentially putting the broker at risk of a regulatory action in any applicable jurisdiction of such customers. Many in the industry have called for such a de minimis threshold to remove the burden of compliance for small quantities of trading. At the same time, Binance announced its plans to open an office in Malta where it could benefit from the Virtual Currency Act being formalized and the Malta Digital Innovation Authority as the EU-member island state aims to support blockchain innovation with a regulatory framework for crypto assets. Binance also announced its perusal of an exchange license in Jersey, one of the two Channel Islands. Adding a regulatory license will fill a small but significant gap in Binance’s offering. Select one or more of these brokers to compare against Binance. Find out how Binance stacks up against other brokers.